Explore numbers with this printable Bear Counting Book that features Number Words and Sight Words for your beginning reader. 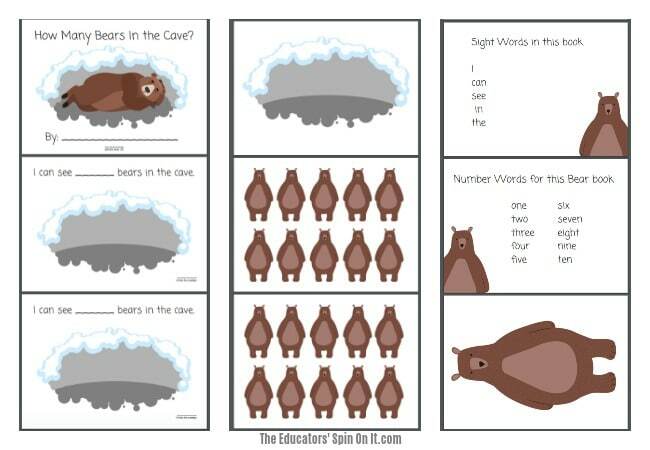 Have fun with your beginning reader with this bear counting book that features sight words and number words. You can adapt the printable book for numbers 1-10 or limit it to just a few numbers based on your child’s interest. Printable Bear Counting book includes a number word sheet for easy reference as well as a Sight Word Sheet to have on your fridge as you work on these sight words!